you have a rather pleasant working space in portland. was it a conscious decision to be in a residential area? It wasn't a conscious choice to be in a residential area, but it has been a good home for Vanilla. I actually like the working class feel of a more industrial area, especially warehouse districts with gorgeous old brick buildings and such, but my current shop (an old milking parlor for the Belmont Dairy) has character. It's also just three blocks away from the school that my children attend and where my wife teaches, which is worth a lot to me. is it hard for people to find you this way? It is perfect really. If people are seeking us out, they find us, but we don't get a lot of random foot traffic in the shop. This is also the reason that we don't have a sign on our shop saying anything about bicycles. We just have the Vanilla headbadge and the speedvagen shield, figuring that if someone is coming to find Vanilla, that will be enough. Yes, we live one mile away. is there still a satisfying level of creativity in the custom frame building world? I feel like there are endless opportunities to be creative, whether it is with metal fabrication, apparel, brand direction, customer interaction etc. More than just opportunity to be creative, there is endless opportunity to improve on everything that we do. I think that that is my driving force. That Challenge. 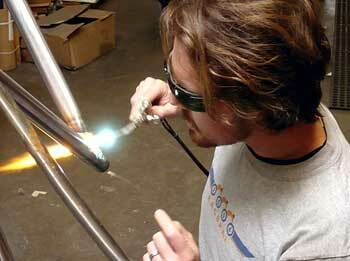 It's important to me though, (and sometimes tricky) not to build bikes for current customers based on a design of mine from years ago. Some of the design elements from back then are still relevant, but some don't suit me, or Vanilla any longer and I really don't like reliving the past. I suppose any creative person goes through the same thing. Like a musician who plays a show, wanting to play what is current for them, but the audience wanting to hear what they have known and loved from the artist. does your job take up more of your time than you'd expected? No. I guess I expect that anyone who is self-employed and who is the owner of a company of any size is going to work a lot. Each year though, things smooth out and we're smarter about how we do what we do. So even if the result is not less work, there is less stress, which feels like progress to me. was speedvagen implemented due to the ever lengthening waiting vanilla waiting list? 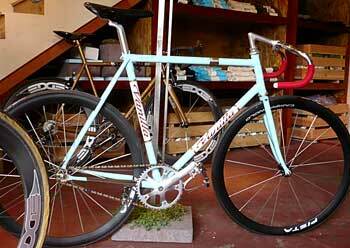 I'd say that Vanilla's long wait was the main reason that Speedvagen was born. 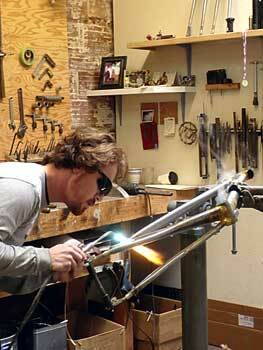 I wanted to be able to make my bikes more accessible, which meant building more bikes. I didn't want to lose my connection as the sole builder of each Vanilla though, and I didn't want to muddy the waters of what makes a Vanilla a Vanilla. So I decided to start another brand completely, and give it its own business model and rules. The result is that Speedvagen can exist on one level and be free to grow and explore production and other materials and collaborations, while Vanilla will remain my special little seed; my journey as a craftsman. is there ever a danger that speedvagen too will end up with a wait list, or has that already happened? We take a certain number of orders per year. Generally we'll build a batch of 30ish Road and 30ish Cross, (we'll be doing a small run of Track Machines this year, too) and when they are sold out, they're sold out. We don't keep a waiting list for Speedvagen for the subsequent year's run, but we do keep a list of folks that are interested and let them know when we open up the order books. 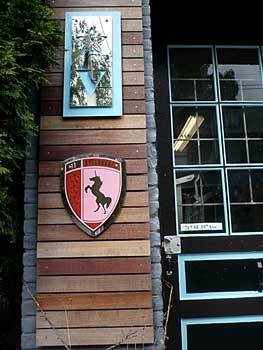 was the start of coat (portland based paintshop) to alleviate your own painting demands, or to satisfy that of portland? Both. I needed reliable paint for Vanilla and I knew that other builders in Portland were in the same boat as me, so I built Coat with the intention of it serving other builders, too. It's been working well and things are really starting to hum down there. does the vanilla cross team exist because of a love of the sport, or is there a commercial interest at heart? Traditionally, sponsorship exists to garner exposure for a brand, or brands. I'd be lying if I said that this was not part of the deal. I've been racing cross for longer than I've been building bikes though, and so any connection that my business has to cross will always be rooted in that authenticity. At the core of it all, I love getting muddy and doing battle with my friends. And I love supporting my racers as they do the same. is it expensive to run a pdx cross team in terms of frames and kit? There are costs beyond bikes and clothing. There are travel expenses, entry fees, etc. All in all the team costs $25-$40,000 a year to fund (including equipment). you say you race cross yourself. is that currently? I've raced pretty seriously in the past and I will again soon, but I'm not racing now. how do customers view the wait for their frame when they know you've interrupted the flow to build team frames? Team frames get rolled in with the batch of Speedvagen Cross Machines, so they don't interrupt the Vanilla schedule at all. 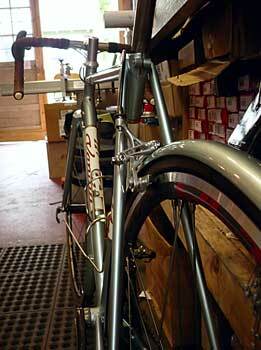 any views on fenders (mudguards) on bikes? do they add to the aesthetic or is their acceptance purely practical? I love fenders, especially when they're painted to match the frame. For me, they extend the line of the frame out and around the wheel. Gorgeous. And for someone who is riding in wet weather consistently, they make a huge difference. those who have commented on thewashingmachinepost video (below) expressed astonishment at the size of the torch you are using to braze a frame. any reason for this? 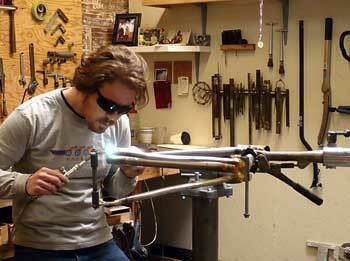 The handle is smaller than most torches, this keeps weight down, which means I can be more agile when brazing. I guess the smaller handle could cut down on long term fatigue, like tendonitis, also. I think my torch tip is on the small size, too. I think this is just a matter of personal preference. With a smaller tip, I can control the heat the way I need. is multi-tasking something you feel you excel at? Ha ha. You mean like brazing while talking on a phone that is sandwiched between my ear and my shoulder? Yes, for better or worse, I excel at multi tasking. are there many who ask to learn building skills from sacha white? Maybe ten or so a year. Not a ton. is this an area of the profession you'd like to encourage? I would love to help develop a formal apprenticeship program with a handful of other builders, and start to train folks entering the framebuilding trade in the same way that electricians, plumbers or other tradesmen attain their qualifications. I know that if I could have worked in a small shop and learned the ropes (both fabrication and business), that would have been huge for my foundation as a builder. The idea of sharing that with aspiring builders gives me a warm fuzzy feeling. 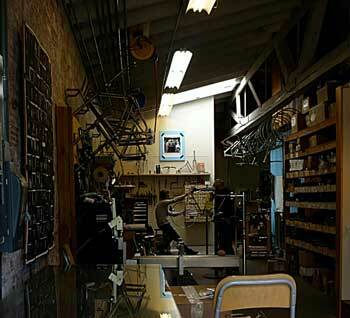 does portland have too many frame builders? do you see them 'thinning out' over the next few years? I don't really know how other builders are faring. I've heard a lot of pessimistic grumbling about the bubble bursting from outside of Portland. I guess we'll see. I love coffee, even if it messes me up. I like adventuring (traveling by boat, hopping trains, etc.). I play music with my kids, though not as much as I would like. Really, bikes take up 98% of my creative energy and that has been keeping me pretty happy. any preferences between shimano, campagnolo or sram? They all work well. I'm impressed with how much better the hood shapes have gotten (ergonomically) with the last update from Shimano and Campy. I appreciate that Campy has remained somewhat classy and elegant, while embracing new materials, stoked that Shimano is routing all cables along the bar now, while Sram's powerdome cassette is brilliant (but loud). money no object, which frame or bike would you buy other than your own? A Weigle Rando bike, or a Pegoretti. I really like Jeff Jones' rigid 29ers, too. any interesting developments we could expect from vanilla, speedvagen or something entirely different in the future? This is the first year for Speedvagen's Track Machines. I'm pretty excited about our guest builder for those. IÕm also co-cur rating a handmade bicycle exhibit with Michael Maharam of Maharam at the at the Museum of Art and Design (MAD) in Manhattan, featuring Sachs, Weigle, Dario, The Vanilla Workshop, Jeff Jones and ANT. Those, plus taking things to the next level with our cross team should keep this year busy, but fruitful.